A letterpress block with a hole in the middle into which something different could be inserted. 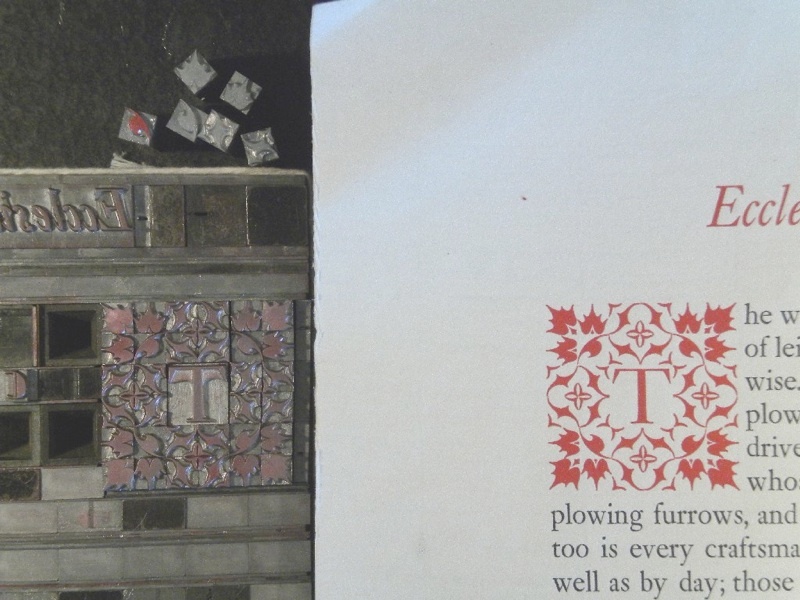 In this example the factotum is the red flower border, and the variable element is the cap T in the middle. 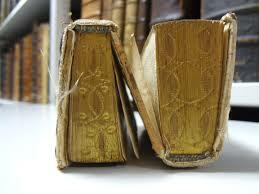 They were used, mainly for chapter opening drop initials, between the mid-16th and mid-18th centuries. (However if you enlarge the illustration it looks a bit like the border on this example could be made up of several separate elements — maybe they were welded together in a way we cannot see.) This was also known as a passepartout block. In 1858 Wilkie Collins published an essay in Dickens’ Household Words. The Unknown Reader can be read on-line at this link. The essay starts with a thought which almost anybody in today’s book publishing world might have: “Do the subscribers to this journal, the customers at the eminent publishing-houses, the members of book-clubs and circulating libraries, and the purchasers and borrowers of newspapers and reviews, compose altogether the great bulk of the reading public of England? There was a time when, if anybody had put this question to me, I, for one, should certainly have answered, Yes.” He goes on to discuss the penny-novel journals which he has discovered everywhere in cheap stores. These cheap publications sold in the millions attesting to an immense readership beyond the reach of the established publishing industry — although the stories they contained were not very “good” by conventional standards. We in book publishing tend to assume that quality counts, and when we inveigh against the generation which seems to us reluctant to read, we really mean reluctant to read the sorts of books which we regard as worthwhile. 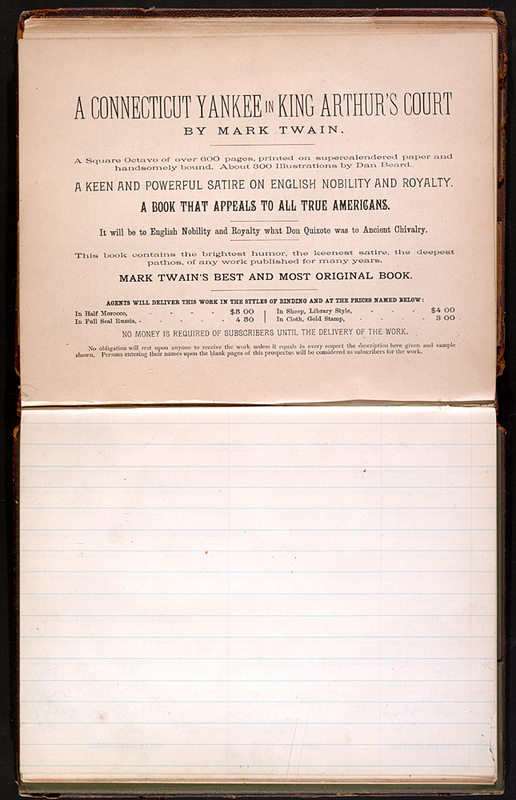 Collins reports on the reduction in sale of the penny-novel journals whenever they tried to slip in some “quality” writer’s work, and ends up “having, inferentially, arrived at the two conclusions that the Unknown Public reads for amusement, and that it looks to quantity in its reading, rather than to quality”. When we rabbit on about how awful it is that kids today don’t read, we ignore all the on-line reading that actually goes on. Social media writing does provide narrative, and promotes a lot of “reading”. It’s not War and Peace, but it’s not nothing either, and certainly cannot be regarded as not forming a reading habit. Will this or that child move from Instagram or texting to War and Peace? Who knows? Did this or that reader of penny-novel journals move on to The Moonstone? Probably not many of them did or will, but is that really a problem? Another huge source of narrative reading which we established adults tend to ignore is the world of video games*. I know we all think kids figure out everything on the computer by playing around with trial and error, but games serve up a lot of reading which the millions of serious gamers will devour. Here’s a fascinating account of a gaming life from The Millions. Isn’t it just snobbery to regard this kind of narrative as less valuable than a story of love during the Napoleonic wars? Of course War and Peace is “better” than other stories of love during the Napoleonic wars, but that’s not just because it’s written as a book rather than as on-line background to a video game. It could be a video game, and might be rather a good one. You wouldn’t think someone who had played the War and Peace Game as having read the novel, just as Game of Thrones players have not by playing the game read George R. R. Martin’s books — but I bet there’s a lot more cross-over than we’d imagine. Up until now we have been floundering around trying to figure out how to gussy up our books to attract this non-mainstream audience. Taking War and Peace and turning it into an enhanced e-book is not however the way to go. Adding maps, pictures, music, video clips, annotations of 19th century military tactics, etc., etc. is turning out to provide a worse experience than nothing at all, because the extra material ends up just being a distraction from the main event, the narrative. The Millions article suggests we need to get writers involved in creating copy for the games developers, and also suggests books which lend themselves to gaming. I think the real point is that we need to get beyond the idea of adapting x for purpose y. We are on the brink of “discovering” a new form of fiction telling. It won’t extend the range of the novel; it won’t adapt the energy of the video game; it will be an entirely new format, invented to take advantage of the technological innovations which have been coming at us so fast. This Guardian story about the future of the book hints at possible directions. I did a post on virtual reality last month in which I said I’d sign up for such a version of Middlemarch, but of course a virtual reality wouldn’t be a replacement for the book — you can’t get the author’s ironic sidelights in a “real” version (just as you can’t know the inner thoughts of the person you are talking to in real life) — so you’d end up wanting to have both versions. How fiction will rework itself to incorporate the new media will be a fascinating thing to watch over the next 5(?) years. * A report from the London Book Fair about how to get working with game developers was carried on Publishing Perspectives on 16 April. Another update: this one from the London Book Fair pointing out problems in such collaboration, written by Publishing Perspectives again. Jeremy’s comment on my post about subscription selling made me think that maybe a piece on subscription publishing might be of interest. Early authors tended to rely on the patronage of some wealthy, powerful person or institution (e.g. the Church) in order to get their work published. After the introduction of copyright laws in 1709 patronage became less common, with the bookseller/publisher providing the finance, or taking on the role of patron if you like. But not all works could attract the “patronage” of a publisher, and publication on subscription became quite popular for the next 200 years or so. The author, if unable to interest a publisher in the work, perhaps because of expense or narrowness of interest, would solicit orders (and often payment) from friends, colleagues, known intellectuals, nobles etc. prior to printing the book. If he got 200 takers, that’s what he’d have printed (no doubt with one or two copies for himself). Thus the whole transaction could be financed by the pre-publication sale. 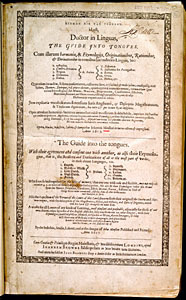 Joshua Minsheu: Ductor in Linguas, or The Guide into Tongues, 1617 is often referred to as the first book published on subscription, though it seems that claim should actually attach to the second edition of 1625. That edition does contain a list of subscribers. Although Minsheu collected funds for the first edition, these were not in the form of subscriptions — i.e. not prepublication purchases. In fact, however, references to subscription publishing can be found in records going back to the middle of the previous century, so Minsheu’s is probably no more than the first book with a subscribers list printed in it. In time publishers began to muscle in on the subscription operation — they could indemnify themselves against loss by gathering subscriptions ahead of time and using the money they received to finance the manufacture of the book. About 2000 books were published this way during the eighteenth century. As The Oxford Companion to the Book tells us “even Cambridge University Press sometimes cautiously sought subscribers, as for Joshua Barnes’ Edward III, 1688.” Many subscription lists include more than 1000 names, though apparently the average is 245 which is more or less the print run seen as the commercial minimum in those days. In America this sort of subscription publishing became quite a big business. The University of Pennsylvania has quite a thorough site describing the industry. Much of its focus is on the selling materials which were provided to the agents who went out and sold the books. Here’s an illustration of one prepared for Mark Twain’s A Connecticut Yankee, which was published on subscription in 1889 — Twain was an inveterate fiddler with his publishing arrangements, always trying to increase the income from his writings. As you can see the business had evolved by this point into offering different editions at different prices, and really came down to little more than door-to-door selling which would go on while the book was being prepared as well as after it had been published. In fact the “ad” even states that no money is required until the book is delivered. I can remember acting as a book agent (for one day only) while on vacation from university — we were given training and then set loose in a U.S. military base in Heidelberg. We had an extensive kit of materials which we were to use to persuade the poor soldiers to spend their hard-earned money on an American multi-volume encyclopedia which would transform their lives, guarantee their children getting in to Harvard, and make them the intellectual envy of their neighbors. Today subscription publishing continues to thrive, for journals (of course) and for many reference works. For instance, some law publishers issue annual series for which there is a subscribers list. G.K.Hall’s Bibliography Guides (cumulative bibliographical listing of books in many subjects) were latterly printed to the exact quantity of subscribers. But the tendency now is to think of such situations as standing orders rather than subscriber orders, though they can just as well be used to determine the print quantity. The salient difference between subscriptions and standing orders is the fact that with subscriptions you get the money ahead of time; with standing orders you send an invoice along with the books to those customers who have told you they are interested in the entire series. Getting your money up front is obviously a highly desirable state of affairs, and this is why so many academic and professional publishers love the journals business. When I was first in publishing we spoke about “subscribing” a book when we referred to the sales rep’s first going to a bookstore, talking up the book from the catalog description, and writing a “subscription order”. No doubt this harked back to Twain’s book agents rather than to Minsheu’s subscribers. A new twist on pre-funded publishing is exemplified by the crowd-financing movement, typified by Kickstarter. For instance this story from Publishing Perspectives, tells us about a UK publisher specializing in tattoos gathering funds to pay for a book. Strange phenomenon (to me at least) this tattoo-mania, which seems to have gripped the football (soccer) players of the world, and obviously Russian gangsterdom too, but these publishers are using an ancient trick to finance publication. The Economist reports in its 12 April, 2014 issue on the cancellation of the publication of Karen Dawisha’s next book, a study of “the origins of high-level corruption in Russia, focussing on the links between the ex-KGB, business and gangsterdom in St. Petersburg in the early 1990s”. Her publisher, Cambridge University Press, “has got cold feet” claiming that “potential legal costs and difficulties involved in being required to prove its premise is true, or even in getting a detailed opinion of the risks, are too great”. However in implying blame to Cambridge University Press, “which has published her seven previous works” the story minimizes the acknowledged fact that no contract exists between the author and CUP. The article opines that “critics would say that in academic publishing such formal deals are as rare as advances”. Of course this layered sentence does distance things a bit from The Economist‘s editorial desk, but we wonder who these “critics” are. I don’t know which academic publishers The Economist (or the critics) are thinking of, but in my experience contracts for academic books are universally required. (Advances against royalties, while perhaps less frequent than at some times in the past, and of lower dollar amount, are an on-going component of competition between university and other academic presses.) There can be no question of a publisher’s right to publish only such books as they want to. Clearly declining to offer a contract to an established author with whom you have a long-standing relationship is not a decision you’d reach easily and without thorough discussion. Karen Dawisha, whose books I have had the privilege of working on in the past, surely cannot be serious when she describes CUP’s attitude as a “pre-emptive bookburning”. She is it’s true most annoyed at England’s libel-friendly legal system. The Economist concedes “To be fair, British news outlets might also consider her subject too hot to handle”. Libel suits are perhaps not the only risks — I can recall having to evacuate the office once in consequence of a bomb threat relating to a (relatively anodyne) reference in a general history to an almost century-old event which still stirs up resentment in the country where it occurred. It is likely that she may be able to interest an American publisher in her book — though I believe that an English libel suit can be brought if even a single copy is found there. Can this be true? It appears that the prohibition on observant Jews against doing any “work” on the sabbath may extend to the pushing of buttons or touch-screens on e-readers. A Jewish author was recently very active in trying to ensure that print copies of her book were available in Jewish bookstores in New York City so that her friends could buy it before Passover and would be able to read the book during the holiday. They would apparently not be able to do this with the e-book version. Do-see-do these square dancers shout, not perhaps realizing that they are harking back to the French. Dos-à-dos is a novelty binding style where two books share one of the three boards used, opening in opposite directions. The style was much used for devotional books from the sixteenth century onwards — you can see the use of having your Bible and Prayer Book together like that. You’d just turn the thing over to start following the lesson. The publishing trend of the second quarter of the nineteenth century was the literary annual, published in time for Christmas. The first English example, Forget Me Not of 1823 was published explicitly as an “attempt to rival the numerous and elegant publications of the Continent expressly designed to serve as tokens of remembrance, friendship, or affection.” At this time publishers had started to bind books prior to sale (previously you would buy a set of folded and gathered sheets and arrange for binding yourself) and binding styles became an important factor in the marketing of books. Cloth bindings were introduced with elaborate foil stamping facilitated by the invention of stamping presses. From “The Keepsake”1856. London: Hurst, Chance and Co.
Illustrations were a fundamental ingredient, and were often commissioned before the writing they illustrated, so that the writing often ended up being written to accompany the picture. Print runs were often in the thousands, in a world where the typical book would print about 500 copies. The annuals were about 300 to 400 pages long and would sell for a significant price – The Keepsake of 1828 sold for thirteen shillings for instance (at a time when the average wage of an agricultural laborer might be eleven or twelve shillings a week). The Keepsake, a literary annual, was published for the years 1828 to 1857 in time for Christmas of the previous year. Though they, especially the second, contained work from an impressive range of authors, Sir Walter Scott, Wordsworth, Coleridge, Shelly, Byron among them, the volumes were somewhat sniffed at by the cognoscenti. This was probably partly at least because the editors were known to offer large fees for contributions. Also perhaps because the books were lavishly produced, bound in crimson watered silk with gilt edges and incorporating the newly developed steel-plate engraving process, which in contrast to the earlier copper-engraving process, allowed the sharp detail of the image to survive through many impressions. This extract from Middlemarch Ch.27 (published 1872, but set about 50 years earlier) illustrates the reaction. The card-table had drawn off the elders, and Mr. Ned Plymdale (one of the good matches in Middlemarch, though not one of its leading minds) was in tête-à-tête with Rosamond. He had brought the last ‘Keepsake,’ the gorgeous watered-silk publication which marked modern progress at that time; and he considered himself very fortunate that he could be the first to look over it with her, dwelling on the ladies and gentlemen with shiny copper-plate cheeks and copper-plate smiles, and pointing to comic verses as capital and sentimental stories as interesting. Rosamond was gracious, and Mr. Ned was satisfied that he had the very best thing in art and literature as a medium for “paying addresses” — the very thing to please a nice girl. He had also reasons, deep rather than ostensible, for being satisfied with his own appearance. To superficial observers his chin had too vanishing an aspect, looking as if it were being gradually reabsorbed. And it did indeed cause him some difficulty about the fit of his satin stocks, for which chins were at that time useful. “I think the Honourable Mrs. S. is something like you,” said Mr. Ned. He kept the book open to the bewitching portrait, and looked at it rather languishingly. “Her back is very large; she seems to have sat for that,” said Rosamond, not meaning any satire, but thinking how red young Plymdale’s hands were, and wondering why Lydgate did not come. She went on with her tatting all the while. “I did not say she was as beautiful as you are,” said Mr. Ned, venturing to look from the portrait to its rival. “I suspect you of being an adroit flatterer,” said Rosamond, feeling sure that she should have to reject this young man a second time. But now Lydgate came in; the book was closed before he reached Rosamond’s corner, and as he took his seat with easy confidence on the other side of her, young Plymdale’s jaw fell like a barometer towards the cheerless side of change. Rosamond enjoyed not only Lydgate’s presence but its effect: she liked to excite jealousy. Mr. Ned smiled nervously, while Lydgate, drawing the “Keepsake” towards him and opening it, gave a short scornful laugh and tossed it up to his chin, as if in wonderment at human folly. “What are you laughing at so profanely?” said Rosamond, with bland neutrality. “You are so severe, I am frightened at you,” said Rosamond, keeping her amusement duly moderate. Poor young Plymdale had lingered with admiration over this very engraving, and his spirit was stirred. “I think I shall turn round on you and accuse you of being a Goth,” said Rosamond, looking at Lydgate with a smile. “I suspect you know nothing about Lady Blessington and L.E.L.” Rosamond herself was not without relish for these writers, but she did not readily commit herself by admiration, and was alive to the slightest hint that anything was not, according to Lydgate, in the very highest taste. “But Sir Walter Scott — I suppose Mr. Lydgate knows him,” said young Plymdale, a little cheered by this advantage. Lady Blessington and L.E.L. 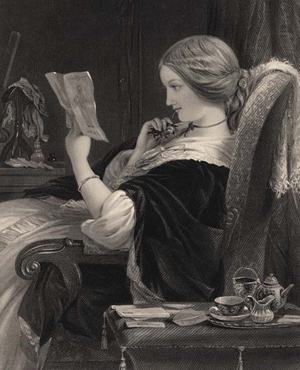 (Letitia Elizabeth Landon) were regular contributors to The Keepsake which did indeed publish many female writers. Women figured largely among the readership too, and already in 1828, Robert Southey was complaining that sales of these annuals had killed off the sales of volumes of poetry, which had hitherto been the most suitable gift for a young lady. A Blackwood’s review of one annual suggested that if the volume were used as a tool of courtship the odds are “a hundred to one that you are a married man in six weeks or two months”. Poor Mr. Ned does not win this bet. The University of Toronto Library provides an excellent introduction to the subject in this description of an exhibition on British Literary Annuals. The earliest known printed book jacket was produced for The Keepsake in 1832. Article I, Section 8 of the U.S. Constitution gives Congress the power “To promote the Progress of Science and useful Arts, by securing for limited Times to Authors and Inventors the exclusive Right to their respective Writings and Discoveries.” U. S. Copyright legislation no longer does this — it has become a means of protecting property rights. This piece from GalleyCat, based on a talk with someone from CCC, leaves one assuming that lyrics can never be quoted without permission. This is not true: if you are quoting a song for “criticism and review”, as many who wish to quote lyrics probably are, then no permission is required from the copyright owner. Such fair use used to be held to permit quotation which was “not substantial” — the whole point of copyright being to encourage new writing, not to stifle it. Thus I (a strict constructionist in this matter) would maintain that quoting one line from a pop song’s lyrics is likely to be fair use, and thus exempt from any need for permission. I’d also maintain that it was likely to benefit the song’s owner, not damage the sale — but the publishing industry, ever eager to avoid any mistake, rather than to do right, has apparently conceded the point (without any change in the law) by habitually seeking to clear permission even for short extracts. “We can vent our rage at Google or at judges, but the real fault lies with Congress. We’ve not had a major revision in copyright law since the late 1970s. The courts are being asked to decide cases based on laws that predate personal computers and the Internet. For a parallel, imagine a 1950 court being forced to handle legal issues involving car accidents with traffic laws that’d had not be revised since the horse-and-buggy era. It really is that bad. For an explanation, you need look no further than the only major change that Congress has managed to make in recent decades, the Sonny Bono Copyright Extension Act of 1998. Copyright term extension had all the big money behind it. That made action easy. I think we have come to the point where we need two kinds of copyright. Movies, which cost so much to make, are just so different from books — you can see some sort of need for the rights owner to want solid and lengthy protection of their investment in a film. Whereas, in its origin, copyright was all about encouraging the dissemination of knowledge, setting some sorts of limits (but not prohibiting) quoting, adapting, extending, parodying existing works. Obviously this sort of activity isn’t what’s being thought about when it comes to protecting movies, yet books are today getting the extensive protection they have as a side benefit of the movie studio’s requirements. Of course if one accepts this split, one might need to consider whether other categories of “intellectual property” covered by copyright might also need to be split off into some different mode of protection too — music, art works, computer programs and games etc. At the time of the Sonny Bono Act, Mickey Mouse was about to enter the public domain. Maybe Mickey Mouse and The Cat in the Hat have more in common than I’m willing to concede. Perhaps the real distinction needs to be between entertainment and information. One of the non-fiction bestsellers of 1957 (thus, no doubt, not entering the public domain this year) was Don Whitehead: The FBI Story. I can see more need for such a book to have its content freely usable by others than The Cat in the Hat; Atlas Shrugged too — so it’s not just a simple fiction/non-fiction split. Drawing the line between entertainment and information is liable to be difficult: perhaps we might come up with some distinction in coverage which would make you want to go for one kind of protection for books which might be used one way while inclining you in the other direction with the others. Of course now you are liable to say “What do you have in mind?” Well, I do have an idea — as the long term protection drive is all about protecting an investment, how about making copyright coverage into an investment decision. Movie budgets are so large that a payment for the privilege of extended protection could be insignificant to the studios. Thus if you paid $100,000 you could get 100 years’ protection, $50,000 would get you 50 years’ protection and zero dollars would keep copyright in effect for 25 years. Probably the sums I list are too low, but I think there’s at least a debate to be had around such a plan. The good news is that the leviathan is stirring. The British parliament is looking at copyright revision I believe, and the U.S. Congress is at least holding hearings, though action is probably a fairly long way off. The Guardian has an odd story on 23 March. I suppose being able to read 600 words a minute, rather than the average 250 (which still sounds like quite a lot to me) might be a good thing for certain kinds of reading. I am super-quick when it comes to reading those on-line software license terms we so often have to agree to. I tend to look at them and scroll though so fast that I see virtually nothing before claiming to have read and agreed to them. Not sure why I think that’s better than just agreeing without ever looking. Otherwise I think I am rather a slow reader, and I’m not sure I’ve got any problem with that. So I suppose I’d agree when the piece says “Like so many technological fixes, Spritz and the like seem to be answering a question nobody asked.” The Digital Reader post shows a simulation of the app in operation It also appears on the Spritz home page (where it works better): actually I find it less infuriating that I would have expected. ReadWrite has a piece featuring four different apps to help you speed through those lengthy tomes. Blinkist has a different approach: rather than getting you to read faster, they will boil the book down for you. Same result: you’ve “read” Freakonomics in just fifteen minutes. “Solve your reading problem” they declare on their home page — I didn’t know I had one till then! They do offer a free trial. The Wiki cops have a note at the top of the Wikipedia entry on Speed reading criticizing it for containing “weasel words” — apparently these are “words and phrases aimed at creating an impression that something specific and meaningful has been said, when in fact only a vague or ambiguous claim has been communicated.” Unweaselly words tell us that “the world champion is Anne Jones with 4,700 words per minute with 67% comprehension”. If only she could get that to 3149 words a minute with 100% comprehension — but I expect it doesn’t work like that. Why all this interest in reading faster? — well I suppose there really are too many books out there for any normal human to read in one lifetime. But I can’t see that flashing through Middlemarch is quite the same thing are reading it “properly”. It just so happens that Middlemarch is the book club selection for 1Book140 (The Atlantic‘s Twitter book club) this month, as it was for Leonard Lopate’s book club last month. 1Book140 is only asking us to read the first 20 chapters during April, though I have no intention of stopping at that point (which is an odd place to pause anyway). I suppose if we were all able to speed read we’d be tasked with the whole book. Later: Slashdot tells us that speed reading apps don’t work anyway. Later: Len Edgerly at the Kindle Chronicles did an interview with Sprtiz’s founders Maik Maurer and Frank Waldman on 10 October. At about 9 minutes in he gives instructions on how to get the Spritz experience onto your iOS device. Download the app ReadMe! (for $1.99) then open an ePub file in ReadMe!. The page will look like a normal page: tap on the page to bring up a circle then tap on the crosshairs in the circle and that’ll launch Spritz. You can adjust speed, go back and repeat, etc. fairly simply. The Digital Reader (3/8/14) has complied a list of twelve sources of free audiobooks. This should keep you busy. If you need more, one of Amazon Local’s deals this week is a coupon for two months of free audiobooks from Audible.com. You have to sign up by 26 April though.